The greatest battles you've never seen: tag-team style! All your favorite Star Wars characters in unlikely and inspired match-ups. Who would win? You decide! What would happen if the boldest Star Wars characters and creatures formed into teams and faced one another in treacherous locations? Thirty awesome battles include Aayla Secura, Shaak Ti & Clone Commander Bly vs. Zuckuss, Bossk & a wampa on the glaciers of Hoth, and Luke Skywalker, Admiral Ackbar & R2-D2 vs. a gang of scavenging monsters in the Death Star's trash compactor! Decide who you think would be victorious in these never-before-seen team-up showdowns. Then check out the experts' ideas of who would be left standing! 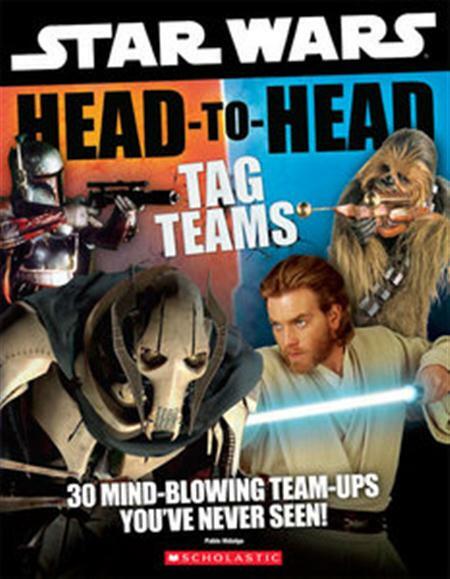 Star Wars Head-to-Head Tag Teams Fast Download via Rapidshare Hotfile Fileserve Filesonic Megaupload, Star Wars Head-to-Head Tag Teams Torrents and Emule Download or anything related.